Learn, explore and enjoy the world that lays underneath…. Well i know we’re talking about scuba, but i thought that you guys would find this interesting .. 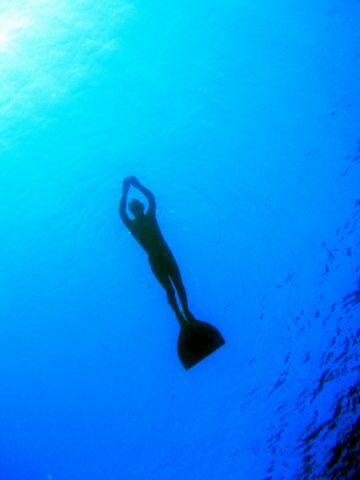 So free diving which also called “apnea diving” (apnea means “stop breathing” in Greek), or breath hold diving is different from our world, the SCUBA world. SCUBA stands for : self contained underwater breathing apparatus, or to simplify it for you : MACHINES. and make it back to the surface. simply as long as u can! The current static apnea world record for men is : 10 minutes and 12 seconds!!! think of it – 10 minutes without breathing. NO LIMITS is a type of free diving which accessories including SPARE AIR can be used. This is an exciting world of complete silence (remember, no scuba = no bubbles) and harmony.